Health and fitness books, helping you become and stay motivated. A great mind once said that you stop learning when you are no longer breathing. Read on. 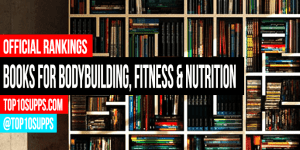 The best bodybuilding books, which are often written by successful bodybuilders, can teach you all the ins and outs of weight training. From diet to form to tips and tricks, these books offer it all.